Debate: are the Philosophical & Scientific Arguments for the Existence of God almost overwhelming? Draft article for The Times - Does Christianity make sense in a scientific age? The Debate on God and Science following from this. How do we deal with guilt? If you would like to explore any of these questions, then Star is for you. 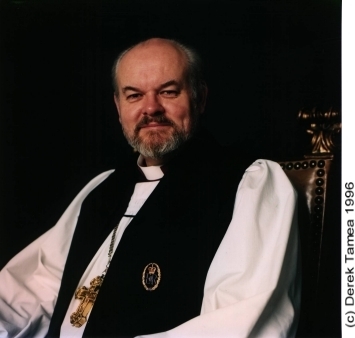 Bishops Richard Chartres addressed the Star Weekends on 28th November in London. His amazing address on the Holy Trinity is now on the web. Basic Principles for Reading the Bible is now on the web. It addresses the question "what about the inconsistencies and 'un-scientific' bits in the Bible"
So is the talk on Faith and the Bible - What Happened Next? The talk Is the Church a Hippopotamus? How can I get the Talks? There was a successful Star Mini-conference 28th April 1997, London. Sharing - we begin with a shared meal and we continue sharing points of view and experiences. There is plenty of fun and laughter - it is great opportunity to get to know each other and make new friends. Talks in which the Christian faith is clearly explained. Star is devised and run by lay people, but each talk has been 'reviewed' by clergy including three Bishops: David Hope (Now Archbishop of York) Geoffrey Rowell (Basingstoke) and Lindsay Urwin (Horsham). Active discussion after each talk. No question is too simple or too hostile. Everyone's point of view is respected. Reflection. The talks are spread over 9 weeks, everyone has time to think. There is no pressure on people to come to more than one talk: the emphasis is on people making their own minds up about the Christian faith. Who is Star For ? What is Star? What do people say about it? What are the Talks? 0 Introduction - What do we want to cover? This is an opportunity for people to make sure that their main concerns are addressed. 1 Who is Jesus? Did he really live and die? Who did he claim to be, and who is he really? Talks 1-3 give time for these issues to be explored. 2 What about the cross? How does Jesus' death fit in? 3 Who do you say that I am? The key question throughout the ages. 4 Faith and the Bible. What is faith, and why is the Bible significant? 5 Prayer What does it mean? how can we pray? 7 How can we relate to God? 8 How can I be filled with the Spirit? 9 What about the Church? 10 Spiritual Growth What does it mean and how can we achieve it? Talks 6, 7 & 8 are usually given as a 'Weekend' which runs from Friday evening to Saturday evening and is usually hosted at a church. It is a wonderful opportunity to learn about the Trinity and to get to know each other better. Often a number of other parishes will join this 'weekend' and we try to arrange for a Bishop to give at least one of the talks. There is no charge for attending the Star Course but a donation towards costs is appreciated. I would recommend it for 'helpers' as well as 'learners' because of a good mixture of informality and sound teaching. Absolutely. The course is a wonderful way to meet nice people. I always felt a certain joyous feeling at the end of the night & of course a great way to learn something about Christianity. Yes. It's fun, it's social, it's relaxing, absorbing, informative, invigorating & it's a commitment which can become a way of life! Yes Definitely. Because there was no pressure to believe, belong. There was a great sense of freedom - to investigate, to question, to consider. ... the information was clear & easy to understand. Yes, definitely - because of the clarity of content for any person wishing to explore, question or ascertain the Christian faith. Most certainly. I only wish it had happened years ago. What is Star? Top What are the Talks? Talks 1, 2, 4, 5 8, 9 and 10 are on the web. The complete set of talks can be downloaded freely under copyleft terms.